This is a great small Custom Blue Sparkle Wrap kit for tight spaces & small venues. 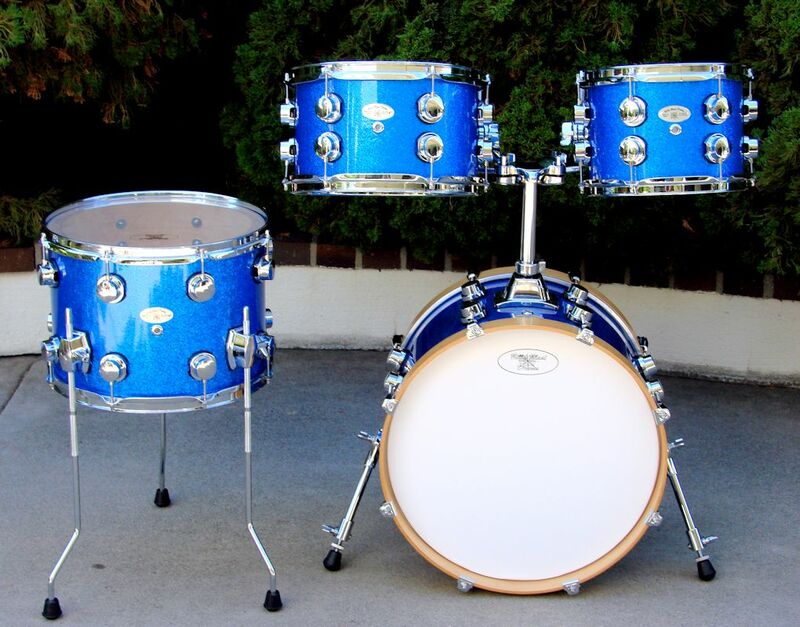 This is a Pro-Drum Set made with 8ply Keller Maple Shells, Die-Cast Lugs, Die-Cast Bass Drum Claws and Pro Hardware. If you need a small set this is the Kit for you. Small Kit Big Sound 18"x12" Bass Drum, 14"x10" Floor Tom, 10"x7" Rack Tom, 12"x7" Rack Tom.